Chris DuBois may find himself about 3,000 miles away from his stomping ground today, but the endeavor that now takes up most of his time doesn’t make Weld County seem so far away. Agriculture is certainly a way of life for DuBois these days. 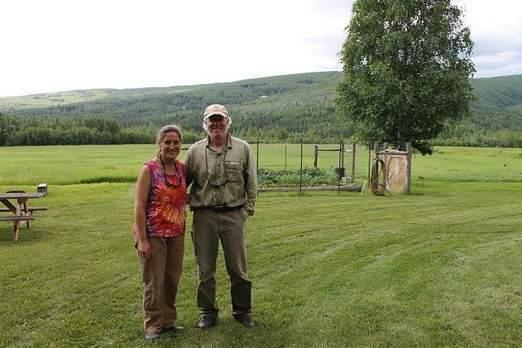 DuBois and his wife, Nancy Davidian, both of whom are nurses by day, have now converted their 74 acres of rolling hills about 10 miles outside of Fairbanks into the Arctic Roots Farm – 25 acres of hay fields and 30 acres of forest, with enough space left over for their perennial garden of raspberries, gooseberries, cranberries, currants, horseradish, asparagus and a variety of fruit trees, and room to raise geese, ducks, turkeys and chickens, in addition to having beehives and a couple of bed and breakfasts on the plot. “This had been a thought of mine for quite some time,” DuBois said. Born in Sterling and raised in various rural areas of northeast and north central Colorado, DuBois grew up in a family of farmers – living on dryland wheat farms with his parents until he was a teenager – and spent the summers of his youth helping with wheat harvests and other farming operations going on around him. Following his graduation from high school, DuBois lived, worked and went to school off and on in Greeley. He graduated from the University of Northern Colorado’s School of Nursing in 1988 and then went on to work for North Colorado Medical Center in Greeley until 1995, at which time he moved to Alaska to work for the state’s public health sector. 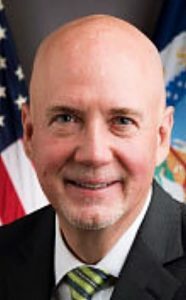 After spending his first year in “The Last Frontier” in Bethel- a village on the state’s west coast – DuBois made the move to Fairbanks in 1996, where he eventually met and married Nancy. 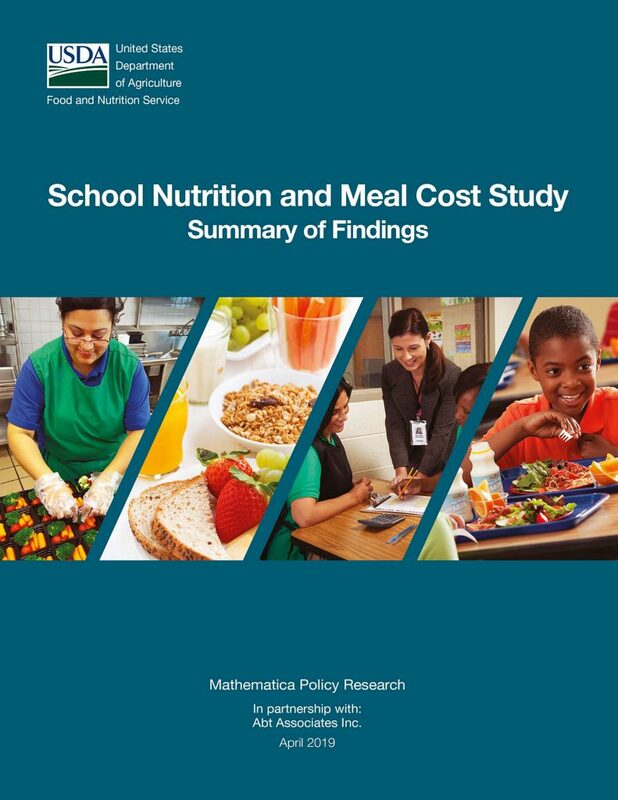 Along with DuBois’ experience in health care growing over the years, so, too, did his recognition for the need of better human nutrition in a fast-food day and age. That, and his deep-seeded appreciation for farming that dates back to his youth in Weld County, were the inspiration for starting up his own agriculture operation. After two years of searching for a spot to begin the endeavor, they found and bought the land for their farm in 2007. It took the first year just to clean up everything on the property, which dated back to 1951. Those efforts included gutting the three residences on the land and getting them up to par – one to serve as a home and the others as the bed and breakfasts to raise money for farming operations. Gradually getting the farm up and running has been the focus since then. Since the couple is doing everything out of pocket, it will be a process that will take a while, DuBois said. And since DuBois and Davidian are both still nurses – DuBois works at Fairbanks Memorial Hospital two days a week while Davidian remains a full-time public health nurse – the farm is a second job for them. “I have no doubts it’ll be a work in progress for a long time,” DuBois said. The couple is now selling its eggs and honey to a pair of local businesses and its other products to local residents. The couple wants to eventually set up a produce market on the farm, as well as install more infrastructure for irrigation and put up a greenhouse. DuBois’ wife grew up in an Ohio suburb and though she had an appreciation for the outdoors she wasn’t familiar with farming at all – not that DuBois was ever an expert, he admits. “It’s been quite a learning experience for both of us,” he said. “It’s still so early in the process, it’s tough to tell at this point where this thing’s headed. It takes a lot of time and a lot of money, but we’ll just keep working at it while we can.